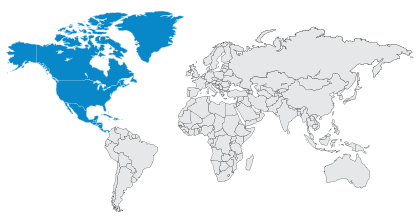 Recognizes top performing partners for their exemplary support in delivering industry-leading solutions. 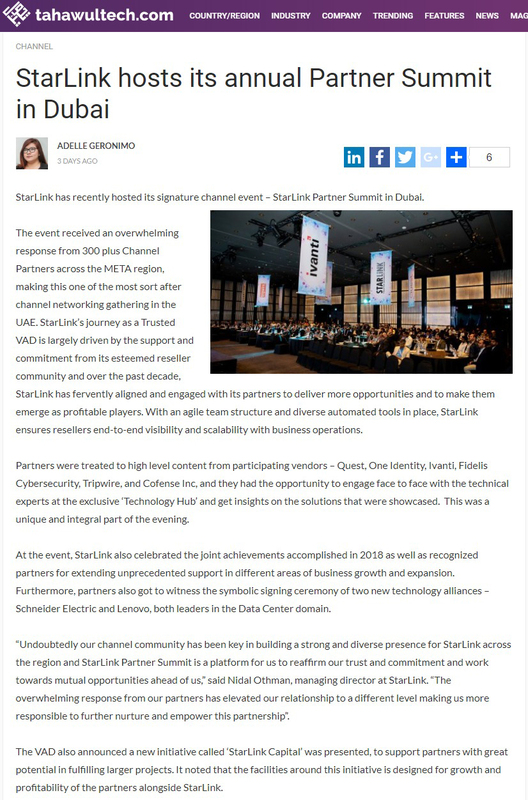 Sunday, March 24, 2019 - Dubai, UAE - StarLink, the fastest growing “True” Value-Added-Distributor (VAD) in the Middle East, Turkey and Africa (META) hosted its signature channel event - StarLink Partner Summit at the iconic Armani Hotel, Burj Khalifa on Monday, March 18th. On this occasion, StarLink also celebrated the joint achievements accomplished in 2018 as well as recognized partners for extending unprecedented support in different areas of business growth and expansion. Furthermore, partners also got to witness the symbolic signing ceremony of two new technology alliances – Schneider Electric and Lenovo, both leaders in the Data Center domain. 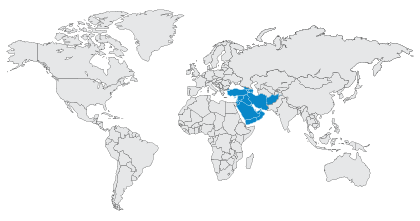 “Undoubtedly our channel community has been key in building a strong and diverse presence for StarLink across the region and StarLink Partner Summit is a platform for us to reaffirm our trust and commitment and work towards mutual opportunities ahead of us” commented Mr. Nidal Othman, Managing Director, StarLink, He added that “The overwhelming response from our partners has elevated our relationship to a different level making us more responsible to further nurture and empower this partnership”. Empowering partners has been an on-going strategy at StarLink and towards this important goal, a new initiative called ‘StarLink Capital’ was presented, to support partners with great potential in fulfilling larger projects. The facilities around this initiative is designed for growth and profitability of the partners alongside StarLink.